Best Western Plus Bristol Hotel features a luxury restaurant, garden and a lobby bar where every customer can enjoy as a quality selection of dishes from the traditional Bulgarian cuisine and gourmet delights in European recipes and the drinks of high quality by international brands. Unadulterated comfort and high-class service are the main highlights in the style of the hotel and the attention to the personal comfort of its guests. 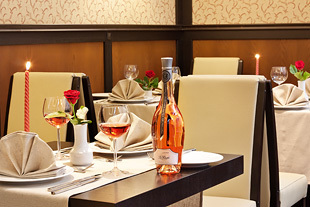 Best Western Plus Bristol Hotel impresses with its wide selection of dishes from the traditional Bulgarian cuisine and European specialties, prepared in the elegant gourmet restaurant with a capacity of 40 seats. 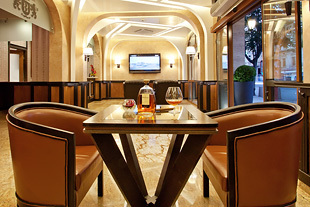 The lobby bar at the Best Western Bristol Hotel Plus is a real gem, located along the entire length of the hotel with access to the reception and the business center, and as well – a direct view to the lively boulevard outside.